A conservation charity in Scotland has been forced to pay £125,000 in legal costs after it lost a judicial review case about the construction of a wind farm. The John Muir Trust agreed a £50,000 out-of-court settlement with the energy firm Scottish and Southern Energy on Friday after a legal dispute over a wind farm at Stronelairg, which is in wild land in the Monadhliath mountains near Loch Ness. The payment comes after an earlier settlement worth £75,000, paid by the trust last month to cover legal costs accrued by the Scottish government during the dispute over the farm’s construction. 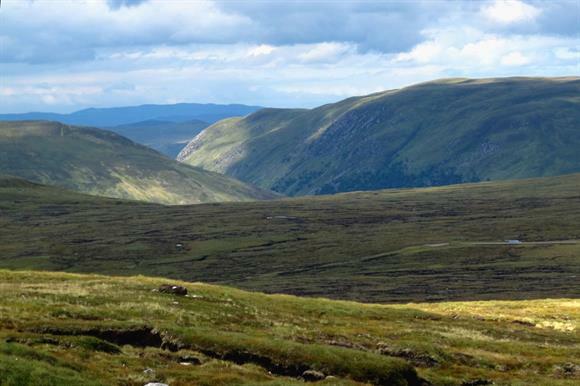 There has been a long-running legal battle since the trust objected to the Stronelairg development, consisting of 67 wind turbines, which was proposed by SSE in 2012 and permitted by the Scottish government in June 2014. The trust appealed the decision, and in February 2015 won a ruling at the Scottish Court of Session Outer House to reduce the government’s decision to grant consent for the farm. The Scottish government and SSE appealed that ruling, and in July 2016 the Scottish Court of Session Inner House overturned the trust’s judicial review and said the Scottish government’s decision to grant consent for the farm was lawful. After the Inner House’s decision, the trust ended its legal action. Both the Scottish government and SSE pursued the trust for legal costs, and the charity said that the £50,000 payment to SSE on Friday was significantly less than the £350,000 that the company was pursuing. The charity also said the £75,000 paid to the Scottish government to cover its court costs was less than the £189,000 the Scottish government had claimed for. The John Muir Trust said the payment to SSE ended the charity’s liability for the Stronelairg case. In a statement, the charity said: "The trust is extremely grateful to our legal team, who supported us throughout and minimised their costs where possible. "This is a positive outcome, and we are grateful to the many supporters of our Stronelairg campaign, who have enabled us to meet all of the legal costs from our existing campaign funds." A statement from SSE said that construction of the wind farm was progressing well and the John Muir Trust’s settlement would be donated to the South Loch Ness Trail, a walking and cycling trail around Loch Ness. Paul Cooley, director of generation development at SSE, said: "We are pleased to reach a reasonable conclusion with the John Muir Trust on the issue of expenses for the judicial review process. We are also happy to be able to gift those funds to the excellent South Loch Ness Trail project, which will allow many members of the local community and tourists alike to enjoy all the loch has to offer for years to come."